Journalists from inside Mississippi and across the country will take the spotlight Saturday, July 14 at one of several events around the nation to focus attention on the role of journalism in democracy. "People, Politics, and the Press: A Civic Engagement Summit" will be held in Jackson at the new Two Mississippi Museums, the Museum of Mississippi History and the Mississippi Civil Rights Museum. The keynote speakers will be Evan Smith, CEO of the Texas Tribune and former deputy editor of The New Republic magazine, and Holly Springs, Miss., native Jesse Holland, an author and national correspondent for The Associated Press. Alex Burns, a national political correspondent for The New York Times, is scheduled to appear in a panel discussion on political coverage in the presidency of Donald Trump. Anita Lee of the Biloxi Sun Herald, R.L. Nave of Mississippi Today, Charlie Smith of The Columbian-Progress in Columbia, Ray Mosby of the Deer Creek Pilot, Jamie Patterson of The Yazoo Herald, and AP's Emily Pettus and Jeff Amy will join discussions on a range of journalism topics, including the work of and challenges to local newspapers in Mississippi, covering politics at the state Capitol, and public trust in the news media. The event is presented by the Mississippi Humanities Council, the Mississippi Press Association Education Foundation, Mississippi Public Broadcasting, the Jackson Clarion Ledger and Mississippi Today. "This program is part of a special initiative funded by the Mellon Foundation and administered by state humanities councils to explore the crucial role journalism plays in creating informed citizens and a healthy democracy," Humanities Council Executive Director Stuart Rockoff said in a news release. Admission is free but registration is required. Lunch will be available for a fee at the time of registration. For a complete agenda, speaker and panelist biographies, and to register, go to peoplepoliticspress.com. The Senate passed its version of the $428 billion Farm Bill yesterday by a vote of 86 to 11. The bill's overwhelming support "reflected a bipartisan desire to rush relief to farmers confronting low prices for their products and an array of other troubles. But the bill faces challenges when lawmakers meet later this summer to reconcile gaping differences between the House and Senate bills," Caitlin Dewey and Erica Werner report for The Washington Post. The House bill, which passed last week, includes work requirements for able-bodied adults participating in the Supplemental Nutrition Assistance Program, once known as food stamps; the Senate bill does not, and key senators have said they would not support a final bill with such requirements. An amendment similar to the House language failed 30-68. The Senate bill "also preserves a major conservation program gutted in the House bill, as well as a separate provision, unpopular in the House, that would limit farm-subsidy payments," the Post reports. "Under the Senate bill, farm 'managers' who are not actively engaged in running a farm would lose out on the subsidy checks the USDA distributes when crop prices fall below predetermined levels." Also, the bill “lowers the adjusted gross income threshold at which farmers are no longer eligible for farm subsidies to $700,000 from $900,000,” Bloomberg News reports. The limits were proposed by Sen. Chuck Grassley, R-Iowa, who failed to get similar measures passed in the last Farm Bill, Christine Haughney reports for Politico. Also in the Senate bill is a provision to legalize industrial hemp, a pet project of Senate Majority Leader Mitch McConnell, R-Ky. "McConnell secured a hemp pilot program in the most recent Farm Bill in 2014. He views the crop as a good replacement for tobacco, which is grown in his home state," Juliet Linderman reports for the Lexington Herald-Leader. "Lawmakers are also likely to clash over conservation funding, which both chambers reduced — but which the House cut more steeply, by $5 billion over 10 years," Dewey and Werner report. "House Republicans have proposed eliminating much of the Conservation Stewardship Program, a popular initiative aimed at encouraging farmers to address soil, air and water quality." The bill includes language from Sen. Kirsten Gillibrand, D-N.Y., to expand support for rural entrepreneurs, including use of the Agriculture Department’s Community Facilities Program "to invest in business incubators, maker-spaces, and job training centers" to support entrepreneurs, a Gillibrand news release said. The program provides loans, loan guarantees and grants to improve public facilities and services in rural communities. America's severe shortage of truckers is getting so serious that economists say it could hurt the economy, Heather Long reports for The Washington Post. How bad is it? At TDDS Technical Institute, an independent school in Ohio that trains truckers to get commercial drivers' licenses, longtime teachers say they've never seen it this bad, and that there are close to 100,000 truck driver openings. Trucking companies are offering huge raises to lure more people into the field. "Recruiters who show up daily at TDDS are offering jobs that pay $60,000 to $70,000, with full benefits and a $4,000 signing bonus," Long reports. "People with CDLs suddenly seem as coveted as computer programmers." While that's good for truckers, economists worry that the increased costs of product distribution will be passed on to the consumers who buy those products. If it happens quickly enough, the country could see substantial inflation that could easily lead to a recession. "This is slowing down the economy already," Peter Boockvar, chief investment officer at Bleakley Advisory Group, told Long. "If it takes me a week instead of two days to ship products from point A to B, I’m losing potential business." But trucking is a tough job, and it may take even more incentives and higher pay to make it worthwhile for enough people to meet the nation's needs. It's one of the most dangerous professions in the country, with more than 1,000 fatalities on the road in 2016 alone. It's lonely, too: truckers are often away from their families for weeks at a time, and divorce is common. And it's often expensive and unhealthy, with drivers sitting still all day and eating greasy truck stop food. Gordon Zellers, an Ohio physician who works with truckers often, told Long that truckers frequently face gain weight and develop heart disease. And beyond the physical and emotional difficulties of the job, trucking faces stiff competition from construction and manufacturing industries, which are also on hiring sprees, Long writes. Construction and factory jobs don't usually require extra school, but potential truckers must attend several weeks of school, which costs up to $7,000, to get a commercial license. "Our thoughts are with you and your staff," Steve Ranson wrote. 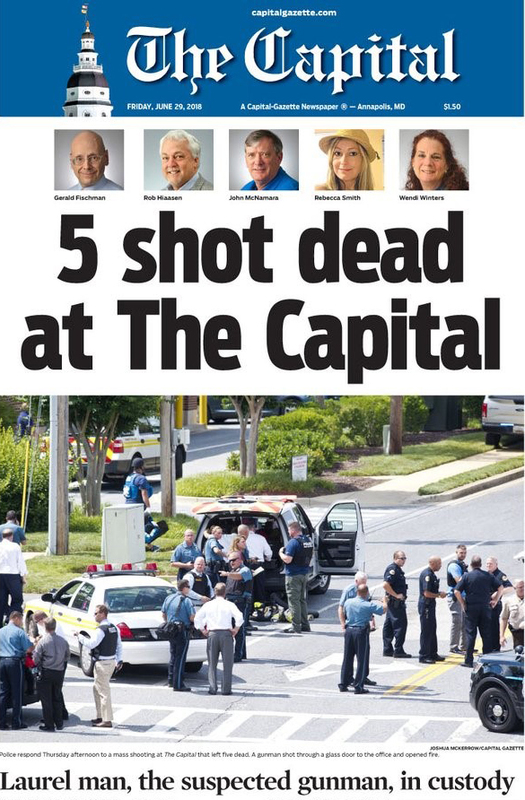 "All journalists including our community editors, general managers and publishers — both active and retired — are family during this time of sorrow, and we all feel the pain from this senseless act." Ranson, editor emeritus of the Lahontan Valley News in Fallon, Nev., added a localized note: "This community has considered ourselves as an unofficial sister city of Annapolis because of the many Navy pilots who graduated from the U.S. Naval Academy and are either assigned or have trained at Naval Air Station Fallon and the Naval Aviation Warfighting Development Center. 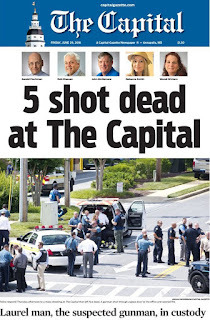 Our community also sends its heartfelt thoughts to both the Capital Gazette family and residents of Annapolis." A GoFundMe account has been set up to help journalists at the newspaper, which is owned by the Baltimore Sun Media Group. The last grocery store closed down two years ago in rural Crawford County, just west of Macon, Ga. Though locals bought some food at the Dollar General store, it carried no fresh produce. That's when Dan Hudson stepped in, selling extra produce at his barbecue restaurant. "With the next closest grocery store 30 minutes away, Hudson felt bad for elderly folks who couldn’t make the drive, as well as people with low incomes," Johnny Kauffman reports for Atlanta's WABE. Hudson told the station that he gets fruits and vegetables from a wholesaler and sells them for very little profit. 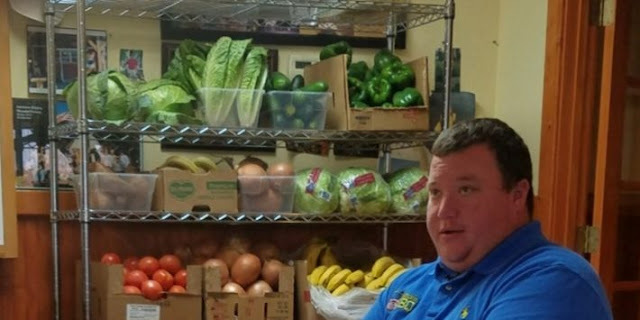 With the nearest grocery store 30 minutes away, he wanted locals, especially the elderly and those with low incomes, to have a source of fresh produce. "If you go that far, you want to make it worth your while, and you want to buy a month’s worth of food. Some people can’t afford that all at one time," he told Kauffman. Read more here. A new documentary, "Farmers for America," addresses big changes coming to the nation's systems for growing, distributing and consuming food, and how America's farmers are addressing them. Farmers face changing consumer demands as more people shop at farmers' markets, commit to eating more local food, and try to learn more about where their food comes from. Meanwhile, the face of farming is changing: the average age of a U.S. farmer is almost 60, which means half of America's farmland will change hands in the next 12 years, Mary Alford reports for The News-Enterprise in Elizabethtown, Ky.
After a screening of the film earlier this week, Elizabethtown farmers held a panel discussion. "I will tell you, everything that has happened in the movie has happened in Kentucky. I see it every day as I travel the state," said Warren Beeler, director of the Kentucky Governor's Office of Agricultural Policy. Caleb Ragland, who grows corn, soybeans and winter wheat and also raises hogs, said the film's assessment of the declining number of farmers was accurate. "There are less of us that need to produce more. We have to teach the kids," Ragland said, "We have to learn from the generations. We have to be paying attention, learning how to preserve our land." For more on the documentary, click here. "Closures and mergers resulted in a net loss of more than 1,800 newspapers from 2004 to 2015, the overwhelming majority of them weeklies," Ohio University Journalism Professor Bill Reader writes in the Newspaper Research Journal. "But community weeklies remain the most common (70 percent of all newspapers), and community dailies and weeklies account for 62 percent of overall print circulation." Reader's article shows the true landscape of American newspapers, which have usually been defined by the dominance -- and recently, the tribulations -- of metropolitan dailies, but he points out that fewer than 2 percent of newspapers are metro dailies, "which account for less than 30 percent of overall print circulation." "Bill presumes, based on the available data, that most of the lost weeklies had small circulations, and that is the trend we have noticed as we followed newspapers and their trade publications during the same period," said Al Cross, professor and director of the Institute for Rural Journalism and Community Issues, based at the University of Kentucky. Reader is an academic partner of the institute, which publishes The Rural Blog. Cross says many if not most of the lost weeklies were in Midwestern towns that are not county seats, and some were merged into county-seat papers. One indicator of the loss of small weeklies: Reader cites a 2014 study, based on data through 2009, which found that the average circulation of rural weeklies increased from about 3,780 to about 4,700. That study used a stratified sampling of newspaper listings, rather than the comprehensive totals from 2004, which were tabulated by Jock Lauterer of the University of North Carolina. Reader uses Lauterer's study as a baseline and analyzes data published by Editor & Publisher magazine in 2004, when it was reliably comprehensive, and in 2016, when it was less so; it omits some papers, and 9.6 percent of those listed don't report circulation figures. "Although that data source has some serious limitations, it is arguably the best single source for such industry-wide information, and as such, is far less limited than other existing data sources," Reader concludes. E&P lists 6,226 community weeklies in 2015, down by 1,639, or 21 percent, from the 7,865 that Lauterer found in his baseline study in 2004. The number of dailies went down 7.8 percent, from 1,456 to 1,342. The great majority of those dailies are small enough to be defined as community newspapers, by whatever yardstick is used. Some papers that were once dailies are now weeklies, defined as publishing three or fewer print editions per week. "It is clear that the U.S. newspaper industry is overwhelmingly dominated by small newspapers," Reader concludes. "As such, broad studies of 'the newspaper industry' that omit weeklies and/or omit 'small' newspapers are inherently flawed and deeply misleading. . . . It also is misleading to make broad claims about “newspaper print circulation” by omitting weeklies entirely, which account for 55 percent of overall print circulation." Finally, Reader makes a plea: "Greater efforts should be made to get small newspapers, especially small weeklies, to be more cooperative in self-reporting to the E&P Databook and similar efforts. Doing so would not only help improve industry-wide research efforts but also help raise the profile of the community press among media industry watchers. In particular, with the increasing role of the online newspaper sector, far more newspapers should report page views and unique-visitor rates to their websites." It sounds like something out of a children's book, but we have the pictures to prove it: A 4-month-old calf named Bonnie, hearing the distressed cries of cows being rounded up for sale to a slaughterhouse, escaped into the woods, Kelli Bender reports for People. Neighbors who heard about the escape wondered how she'd survive in the wild in the middle of winter, but hunters' cameras soon captured footage that showed how: a friendly herd of deer had taken Bonnie in as one of their own and the little cow thrived. Read more about Bonnie's story here. More than 60 companies and organizations representing American dairy farmers and cheesemakers wrote an open letter to President Trump praising him for his efforts to halt Canadian dairy subsidies but asking that the administration roll back its new tariffs on Mexico "in light of that country’s constructive engagement in North American Free Trade Agreement negotiations and the harm that Mexico’s retaliatory tariffs will have on U.S. dairy’s trade with its largest and most reliable market," Morning Ag Clips reports. "The companies asked the administration to work collaboratively with Mexico and suspend the steel and aluminum tariffs on Mexican products until the negotiations for a modernized NAFTA have been concluded." The U.S. is Mexico's biggest dairy supplier, with sales of nearly $400 million last year alone--almost one-quarter of U.S. dairy exports. That trade was duty-free, but Mexico recently added tariffs on American cheeses and other products, some of which will reach as high as 25 percent when they go into effect in July. That could hurt the nearly 3 million American jobs in the dairy industry and would also allow the European Union, which recently signed a bilateral free trade agreement with Mexico, to take some of American dairy products' market share. "Our first four months of 2018 showed a strong expansion in the volume of U.S. dairy exports into Mexico," said Tom Vilsack, president and CEO of the U.S.Dairy Export Council and former Secretary of Agriculture. "But these tariffs have introduced uncertainty and concern. A renegotiated NAFTA 2.0 would go a long way toward restoring our industry’s momentum." Justice Anthony Kennedy's imminent retirement from the U.S. Supreme Court--and his all but certain replacement with a staunch conservative--predicts a substantial swing to the right for future federal court decisions and the policies and laws they inform. One of those areas is federal environmental policies. "As with so many other issues, Kennedy served as a swing vote in key cases on water pollution and climate change during his three-decade tenure," Dino Grandoni writes for The Washington Post. The most significant of those cases was in Massachusetts v. the Environmental Protection Agency, in which Kennedy's swing vote paved the way for an EPA study affirming that coal-fired power plant emissions contributed to climate change. "Without the 2007 ruling, the EPA would have no statutory power to tell companies to stop putting greenhouse gases into the atmosphere," Grandoni writes. Though the Supreme Court usually stands by its previous decisions, it has shown more willingness to overturn prior rulings as of late, as with its recent ruling that public unions may not force nonmembers to pay collective-bargaining fees; Justice Elena Kagan wrote in her dissent that the decision overturned a 1977 ruling. That willingness to tread on previous decisions could put the Mass. v. EPA decision on rocky ground. But David Bookbinder, an environmental lawyer who was deeply involved in Mass. v. EPA told Ben Geman with Axios that he doubted the high court would revisit the decision: "Mass. v EPA was a pure statutory interpretation case limited to: Does the definition of 'pollutant' in the Clean Air Act include CO2? Once they decide something like that, they don't want to go back and change it, especially many years later." But Harvard University's Jody Freeman told Geman that a "Supreme Court without Justice Kennedy will be even more likely to look skeptically at [greenhouse gas] regulation, and be more open to efforts to cabin it, if another administration ever returns to it." That matters, since EPA Administrator Scott Pruitt wants to replace Obama's Clean Power Plan with something much more limited. Column: Why do we value rural folk more than city people? Urbanization plays a major role in partisan sentiment, now more than ever, but "such a clean partisan break along density lines has thrown our democracy into a crisis of legitimacy and dysfunction," Will Wilkinson writes in an opinion piece for The New York Times. Wilkinson is the vice president for research at the Niskanen Center, a libertarian-leaning think tank. He says the problem is that our system of allocating democratic representatives, especially U.S. senators, gives rural — and therefore, now mostly Republican — voters an advantage. The genesis of this system hails back to the 1780s, and was an effort to balance power between free and slave regions. But in a country where metropolitan areas have most of the people and wealth, such a system "defies both moral and prudential common sense," Wilkinson writes. "America’s outdated system of representation allowed Donald Trump and the party of the monocultural country to seize total control of the state with a minority of votes and about 36 percent of the economy." Wilkinson writes an essay bound to be unpopular with many rural readers, but it's full of thoughtful points and is a good read. Among his better points is that, with Donald Trump as president, "The issue is not only that people in cities are getting hurt; it’s also that city people are mindful of the interests of marginalized populations outside cities — at the border or in remote state prisons — and would protect them if cities weren’t democratically underrepresented." Read more here. Residents on Whidbey Island, in the northwest corner of Washington state, get their telephone service from Whidbey Telecom, but that's not all the locally owned company does for its 10,000 customers. The company also turned an abandoned building into an internet cafe, company offices, a cellphone store, and a conference room for 100 that local and regional businesses often use, Ryan Blethen reports for The Seattle Times. "We wanted to create a place that people wanted to be part of," said co-CEO George Henny. Another rural telecom company in Washington, Pioneer Telephone Company in LaCrosse, works with local farmers to help them embrace technologies that can help them run their farms, such as creating yield maps and spray records. "Picking up services others have abandoned in the hamlets and towns carved out of the ravines and coulees of the Palouse is core to Pioneer’s mission of serving its community, sometimes in ways that have little to do with whether Netflix is available in Endicott, Whitman County," Blethen reports. "The 110-year-old company now uses its backhoe to dig graves in the tiny towns of Hay and LaCrosse. It also changes tires and began selling hunting and fishing licenses this year." Pioneer's general manager, Dallas Filan, said providing all these local services is as important as the work they're doing to update and expand the area's broadband network. "We're positioning ourselves for the next 110 years," he told Blethen. Health research on immigrants has often focused on younger people living in urban areas, since they make up the vast majority of immigrants. But that leaves a gap in knowledge about older immigrants and refugees living in rural areas. Most rural immigrants, including seniors, work in physically demanding fields such as agriculture or meatpacking, which increase risks for problems such as arthritis and heart disease. And many have trauma resulting from war, torture, or loss of family ties in their home country. But besides the general shortage of medical care options all rural residents face, language and cultural barriers can keep these rural seniors from accessing medical care, Beth Baker reports for Next Avenue. And some immigrant seniors are not even aware of some services being offered. One rural health center is working hard to serve local immigrants. Kearny County Hospital is in Lakin, Kansas, the 10th most remote town in the nation and serves immigrants from nearly 30 nations who work in a nearby meatpacking plant. We've written about it before as an example of how innovation can help a rural hospital reverse its fortunes. The hospital worked with a University of Kansas Medical Center researcher to conduct a community survey to better understand local immigrants' needs. Kearny County Hospital CEO Benjamin Anderson told Baker they got surprising feedback: "Hispanics wanted more services, [especially] support for caregivers at home, mental and behavioral health treatment and systems for finding healthy food." In response, the hospital created a three-year plan that includes better walkability, neighborhood greenhouses, and integrating mental health and primary care services. The hospital serves all, regardless of ability to pay and provides free language translation services. "In addition, it has received national acclaim for a policy of granting doctors 10 weeks’ vacation to do  international service trips," Baker reports. Doctors usually go where their immigrants are from, to countries such as Rwanda, Uganda, Kenya, Haiti, and Somalia. "We attract people who are motivated to relieve suffering," Anderson said. A new study details the extent of the shortage of mental health professionals in rural areas. Though 6.5 million rural Americans have some form of mental illness, 65 percent of rural counties don't have a psychiatrist, 47 percent don't have a psychologist, and 81 percent don't have a psychiatric nurse practitioner, Stephen Johnson reports for Big Think. 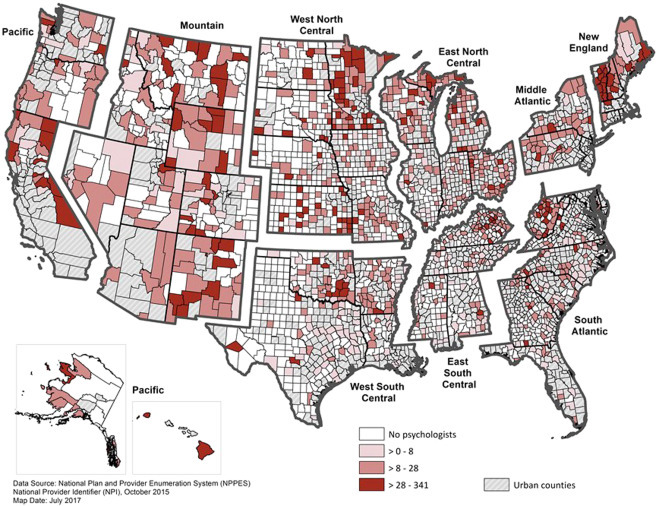 Number of psychiatrists per 100,000 people. Click on the image to enlarge it. Number of psychologists per 100,000 people. Click on the image to enlarge it. Number of psychiatric nurse practitioners per 100,000 people. Click on the image to enlarge it. A new program in Oregon aims to help students raised on rural Native American reservations close the achievement gap in school. "It’s called TAPP — Tribal Attendance Pilot Projects. The essence of the program puts tribal education coordinators into Oregon schools to help improve attendance rates for the state’s Native American and Alaskan Native students," Sheila Hagar reports for the Union-Bulletin in Walla Walla, Washington. Native American students have a higher absenteeism rate than average--33 percent compared to 19 percent in other student group--partly because of participation in tribal activities such as fishing, harvesting, or extended funeral processes. Having a tribal coordinator in place allows for greater communication between schools and tribal leaders, and helps students feel as though someone in the school administration understands their culture, Hagar reports. Oregon's legislature budgeted $1.55 million for the initiative for 2017-2019; it's improved attendance rates in some school districts, but not in others, Hagar reports: "While 10 schools included in the pilot project succeeded at reducing chronic absenteeism between the 2015-16 and 2016-17 school years, seven did not, according to attendance data from the Oregon Department of Education." Leo Sportsman, a member of the Puyallup Tribe, is a vocal proponent of the program. He told Hagar that he had had a hard time in public school because of teachers who didn't understand his tribal culture. But when he began attending a boarding school for Native Americans in the eighth grade, his grades improved dramatically because he felt supported and understood. 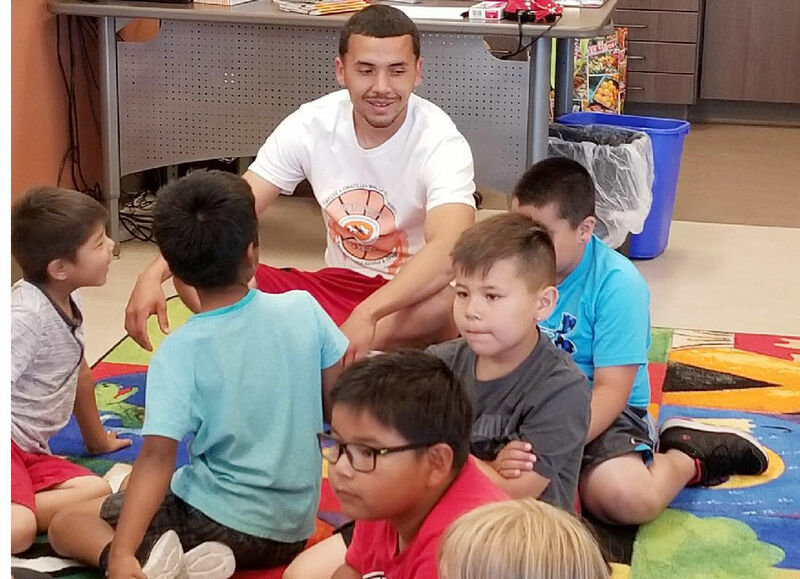 Sportsman, 25, now works with the TAPP program as an education support person for Native American students in the Athena-Weston School District. "When school ended earlier this month, Sportsman was among those cheering to hear that kids from the reservation reached a 92 percent attendance rate in the district this year, the same overall attendance rate for all Athena-Weston students," Hagar reports. "The U.S. Environmental Protection Agency on Tuesday proposed setting a blending mandate of 19.88 billion gallons for 2019 under the Renewable Fuel Standard (RFS), 3 percent higher from this year’s and in line with expectations," Reuters reports. "The agency proposed an advanced fuel requirement at 4.88 billion gallons for 2019 and a biodiesel mandate of 2.43 billion gallons for 2020. It proposed a cellulosic mandate of 381 million gallons for next year." The EPA also decided not to force large refiners to blend extra amounts of biofuels to compensate for the large number of hardship waiver exemptions recently granted to small refineries. Biofuels advocates have accused the EPA of granting such waivers as a means of getting around the biofuels mandate to appease oil producers. The EPA said it is also considering measures to make the compliance credit market more transparent. When Kentucky's Senators and Representatives vote on the Farm Bill in the coming weeks, they should remember that it has measures that could benefit the state's bourbon industry, Mark Brown and Tom Martin write for the Courier Journal in Louisville. Specifically, the Farm Bill funds forestry programs that can help protect oak trees. Federal law specifies that bourbon must be aged in new, charred oak barrels, and American white oak is the preferred wood used to create these barrels. But "the popularity of bourbon will soon outpace the growth of white oaks across Kentucky and the Midwest," Brown and Martin write. "Since it takes about 80 years to grow a white oak, we must begin working on this challenge now." Not only are there very few new, young, white oak trees ready to replace harvested mature ones, but many white oak tree stands haven't been thinned to remove lower quality oaks and allow the good ones to flourish. The Timber Innovation Act and the Community Wood Energy Innovation Act, to encourage research and development of new wood products and expand markets for wood. The Empowering State Forestry to Improve Forest Health Act along with continued support for Good Neighbor Authority to support restoration of white oak trees and encourage work on public and private lands. Strong funding for the Environmental Quality Incentives Program, with continued support for forest owners that need technical and financial help to keep white oaks growing. The bourbon industry is not the only one that will benefit from these programs; white oak and other hardwood trees are used in flooring, cabinets, furniture and more, and provide an important wildlife habitat for many animals. Small towns across the U.S. are losing population to urban areas, and the trend is likely to continue. Kimberly Zarecor, associate professor of architecture at Iowa State University, offers an offbeat solution for shrinking towns: instead of spending money trying to lure new residents, focus on making life better for residents so they'll stay put, Frank Morris reports for NPR. Zarecor first conceived of the "Shrink Smart Project" when she studied in a small city in the Czech Republic that had suffered with the collapse of the coal and steel industries. "Ostrava is a place that's shrinking, losing people, but it's still a place that people love to live in, are very loyal to," Zarecor told Morris. "And it's also a place that outsiders look at and think, I don't want to be there." Eva Spackova, an architecture professor at the Technical University of Ostrava, commented on how her city successfully followed the "shrink smart" plan: the town clean up pollution and revitalized older neighborhoods, reinventing itself as a cultural hot-spot with popular arts events. Zarecor and her Iowa State colleague Dave Peters are trying to bring that thinking to America, and are currently conducting surveys to figure out how some remote small towns can make residents' lives better as they lose population. They point to Sac City, Iowa, population 2,105, as an example of success in smart shrinking. The thriving town boasts a hospital, a library, a recreational center, two pools, good daycares, and an involved local government. Sac City Community Foundation board member Steve Irwin said the town is doing well because of its highly involved citizens. "We always seem to have a champion for a project, somebody or some group that kind of takes the lead," Irwin told Morris. Reporter Bram Sable-Smith has won a 2018 Edward R. Murrow Award for his continuing coverage of issues forcing rural Missouri hospitals to close during a yearlong reporting fellowship in 2017, Side Effects reports. Sable-Smith collaborated with other reporters at KBIA, KCUR and Side Effects Public Media to write and produce the stories. His fellowship was sponsored by The Association of Health Care Journalists and supported by The Commonwealth Fund. Sable-Smith's reporting on the questionable billing practices at Putnam County Memorial Hospital was so damning that Sen. Claire McCaskill, D-Mo., called for a federal investigation. "The stories were also recognized with Regional Murrow Awards, which were announced in April, for continuing coverage, news series and investigative reporting. There were more than 4,400 entries for the 2018 awards," Side Effects Media reports. "This is Sable-Smith's second national award that recognizes his reporting on rural Missouri hospitals. His series of stories also won a health policy award from the Association of Health Care Journalists." Click here for a complete list of Murrow Awards. According to a new study published in the journal Science, "the U.S. oil and gas industry emits 13 million metric tons of methane from its operations each year — nearly 60 percent more than current estimates and enough to offset much of the climate benefits of burning natural gas instead of coal," Andrew Freedman reports for Axios. That's a leakage rate of 2.3 percent, compared to the Environmental Protection Agency's estimate of 1.4 percent. The study, led by Environmental Defense Fund researchers with 19 co-authors from 15 institutions, said the leaked methane is worth $2 billion and would power 10 million homes, Steve Mufson reports for The Washington Post. The study matters because natural gas is now the top source of fuel for U.S. electricity generation, and methane is a potent, though short-lived, trigger for global warming: "Methane can have more than 80 times the global warming impact of carbon dioxide during the first 20 years after its release, though it declines after that," Freedman reports. One more thing: Robert Howarth of Cornell University pointed out shortcomings of the study that could indicate even higher methane emissions. Fred Krupp, president of the Environmental Defense Fund, told Mufson that natural-gas operations could easily reduce methane leakage, which he said would deliver "significant short-term climate benefits." 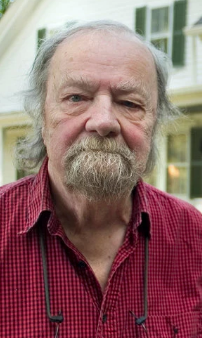 "Donald Hall, a former poet laureate of the United States who found a universe of meaning in the apples, ox carts and ordinary folk of his beloved rural New England, died on Saturday at his home in Wilmot, N.H. He was 89," David Kirby reports for The New York Times. His plainspoken verse and deep respect for nature reminds readers of Robert Frost and earned Hall the position of poet laureate in 2006. The son of an unhappy dairy farmer, he grew up in suburban Connecticut, but in 1975 moved to the New Hampshire farm that had been in his family for generations; he would live there for the rest of his life. A prolific writer, Hall wrote not only poetry but essays, short stories, plays, textbooks, children's books and memoirs. As a diehard Boston Red Sox fan, he wrote two books about baseball that rang with Hall's poetic flair: In Dock Ellis in the Country of Baseball, he wrote "In the country of baseball, time is the air we breathe, and the wind swirls us backward and forward, until we seem so reckoned in time and seasons that all time and all seasons become the same," Kirby reports. He received a National Medal of Arts in 2011 and was a finalist for the Pulitzer Prize. "His other honors include two Guggenheim fellowships, the Poetry Society of America’s Robert Frost Silver medal and the Ruth Lilly Prize for poetry," Kirby reports. Soybean prices hit a nine-year low at $8.41 per bushel this week amid fears of the escalating U.S.-China trade dispute, Walt and Alex Breitinger report for The Associated Press. Without further intervention, the first round of U.S. tariffs will hit soy growers on July 6. China buys one-third of all U.S. soybeans, but has recently been buying more from Russia and has canceled some U.S. shipments in anticipation of the tariffs, Anatoly Medetsky reports for Bloomberg. Brazil, meanwhile, exported its highest amount of soybeans ever in 2017 and is expanding that market this year as well, Reuters reports. "The political consequences could be significant for the president's party, especially going into the midterms this November," Chuck Todd said on Meet the Press on June 24. Of the top ten soy-producing states, Todd said, "eight of them voted for Donald Trump in 2016 percent of the soy-producing counties voted for Donald Trump. In other words, the repercussions of President Trump's trade policies are hurting the very people who supported him the most." The fallout could hurt down-ticket races too, Todd said, noting that "the top soybean states all have either a governor's race, Senate race, or both this year." Community Newspaper Holdings, Inc., one of the country’s largest owners of community newspapers, announced today that it may sell its newspaper properties in 22 states. "The announcement was made after its parent company, Raycom Media Inc., reported it has signed an agreement to be acquired by Gray Television group, a public company headquartered in Atlanta," CNHI staff reports. CNHI owns more than 100 papers all over the country; Raycom, which owns or operates TV stations in 65 markets, bought the 20-year-old company nine months ago. CNHI President and Chief Executive Donna Barrett cautioned that "we cannot say that any particular transaction will or will not take place," CNHI reports. "What we can say is that we will consider various options as we work to find a partner or partners that share our dedication to community newspapers and the vital journalism they produce to serve local audiences." We haven’t run a fact check on President Trump’s false statements recently, because they have become so common we were looking for a higher threshold. Now that he appears to be using immigration as the main issue in this year’s midterm elections, it’s time to establish the facts and share some resources for reporting on this issue. Trump's willingness to use immigration as a stump speech mainstay was evident in a recent address at the Nevada Republican Party's state convention. "Our issue is strong borders, no crime," Trump said. "Their issue is open borders, get MS-13 all over our country. . . . We need people to come in, but they have to be people that love this country, can love our country, and can really help us to make America great again," Philip Rucker reports for The Washington Post. At the signing his executive order to halt his policy of separating children from their parents when they are detained after illegally crossing the U.S. border, Trump said "We're keeping families together, and this will solve that problem." The Associated Press responds that the executive order won't solve the problem. "Trump’s executive order will continue his 'zero tolerance' policy of criminally prosecuting all adults caught crossing the border illegally, and will now seek to keep families together in detention instead of separating them while their legal cases are heard by the courts." But because of the 1997 Flores case, children can't be held in immigration detention for more than 20 days. Trump wants that settlement overturned, but the policy is still in effect. So unless Congress or the courts do something, the Trump administration could be forced to separate children from their parents in a few weeks. The Trump administration has made conflicting claims about its policies regarding families illegally crossing the border. Homeland Security Secretary Kirstjen Nielsen said the Trump administration doesn't have a policy of separating children from their parents at the border, but in May, Attorney General Jeff Sessions acknowledged that the administration's new zero tolerance policy would mean separating parents from children if they cross the border illegally, Dierdre Shesgreen reports for USA Today. Trump blamed "bad laws that the Democrats gave us" for family separations and has said the administration has no choice but to enforce them, but no law requires families to be separated. Additionally, it is false that children were separated from their parents as a matter of course during the Obama administration. Instead, families who entered the country illegally were either detained together or released until their hearings. Shesgreen reports. The Poynter Institute provides an excellent list of fact-checking tools for journalists writing about immigration as well as AP Style reminders; click here to read it. Dicamba is once again injuring soybeans and other non-dicamba tolerant crops in 2018. University of Missouri scientists have estimated that, as of June 15, about 383,000 acres of soybeans have been injured so far, out of an estimated 89 million acres of soybeans planted, according to University of Missouri Extension weeds specialist Kevin Bradley. Last year dicamba damaged about 3.6 million acres of soybeans out of 89.5 million acres planted , Gil Gullickson reports for Successful Farming. "Of the 15 state departments of agriculture that responded to this request for information, only 43 cases of alleged injury are currently under investigation in soybeans, says Bradley. However, the incidents and cases of off-target movement of dicamba to specialty crops, vegetables, ornamental species, and trees seems to be more prevalent this year compared with last season. They constitute some 111 of the remaining cases under investigation," Successful Farming reports. Here is the soybean injury by acres reported in individual states; no other soybean injury from dicamba was reported in the rest of the states that report that information. The nation's largest rural daily paper (if you define rural as non-metropolitan) gets a new boss today, amid questions about its future. 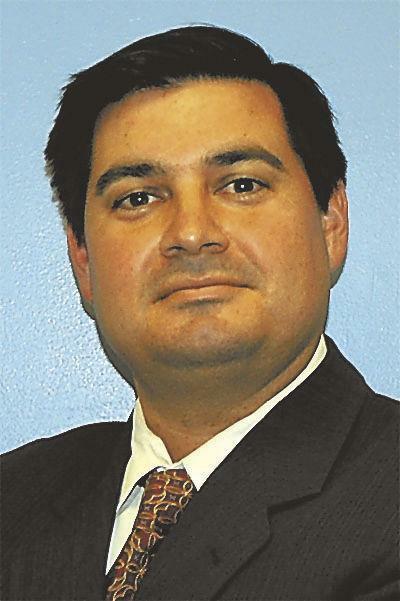 The new publisher of the Northeast Mississippi Daily Journal in Tupelo is William H. Bronson III, who comes to the foundation-owned paper from Dalton, Ga., where for the last 11 years he was publisher of Community Newspaper Holdings' 9,000-circulation Daily Citizen-News. Bronson, 47, led the Dalton paper "to significant growth in both print and online initiatives," the Daily Journal reported June 5 in announcing his appointment. He succeeds Clay Foster, who left the Daily Journal in April, apparently not of his own volition. Foster's departure came soon after the dismissal of longtime Features Editor Leslie Criss and Jackson reporter Bobby Harrison, who was the last out-of-town newspaper correspondent in the state capital. The layoffs prompted a negative reaction in the city of 39,000, and a few days later, the paper's board met, and Foster was no longer publisher. Criss is again writing for the paper. Harrison took a job with Mississippi Today, an online news outlet based in Jackson. Mississippi journalist Mac Gordon wrote for the Jackson Clarion Ledger that the Journal "is in upheaval after severe budget cuts forced the layoff of several top reporters," but Harrison said he knew of only a few layoffs since the Great Recession, "not like other newspapers." In 2016, the paper's daily circulation was 29,000, about 19 percent below the 36,000 reported in 2010. Sunday circulation in 2016 was 59,000. Harrison said he was told by telephone that his dismissal was "strictly due to finances," and that he had no hint it was coming. Gordon wrote, "Directors of a board that guides the revered regional paper are in flux over its future." The Daily Journal is owned by a regional foundation created by the paper's founder, the late George McLean. It serves the same 17-county area that McLean established as the newspaper's then-ambitious service area. The foundation also owns several weeklies in the area. The daily's circulation in 2016 was 29,000, with a Sunday circulation of 59,000. Bronson is a journalism graduate of the University of Mississippi and a third-generation community newspaper publisher, the Daily Journal reported. Before Dalton, he was publisher and editor in Americus, Ga., advertising director in Lafayette, La., and sales manager in Appleton, Wis.
UPDATE, July 27: Bronson has hired Eddie Blakeley, longtime publisher of CNHI's Daily Independent in Ashland, Ky., and nearby weeklies, to be chief operating officer of Journal Inc.